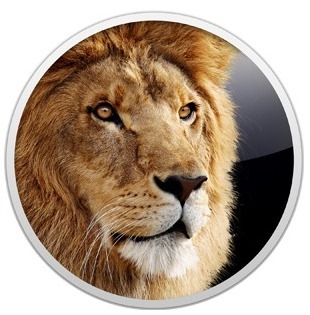 Another week, another release of OS X Lion 10.7.2, the next iteration of the operating system after it was officially released to the public in July. Indeed, Apple has seeded yet another build of OS X 10.7.2 to its registered developers as an attempt to squash some last-minute bugs before the final version of the update is released, which will hopefully happen soon. Although iCloud almost solely relies on an internet connection, it requires some software in order to work seamlessly. All the needed changes to OS X Lion are being pushed to users as part of this update, which should do nothing more than adding iCloud support to the system, unlike the previous update, 10.7.1, which included much wished-for across the board bug fixes and performance improvements. These changes will allow the built-in Mail client, for example, to sync properly with iCloud’s email service. The new build, 11C55, should contain nothing more than bug fixes when compared to the previous builds. It does, however, removes what used to be a great time waster in the installation process: a separate iCloud package. Now, the OS X 10.7.2 update itself will include all the software necessary for the operating system to connect to iCloud. This implementation will surely be welcomed by users once this update reaches final stage, likely once a release date for iCloud is known. If you’re already using a previous build of OS X 10.7.2, you much run the included reversioner to uninstall your old update before you install the new one. This ensures that all system files will be patched correctly. In order to download this update, you must have a registered developer account with Apple. A registered account will give you access to pre-release (as well as final) versions of Mac OS X, as well as developer-oriented tools and documentation, all free of charge after you’ve paid a single $99-per-year fee. While aimed at developers, an Apple developer subscription should be part of every power user’s arsenal, so what are you waiting for? Get one today from Apple’s developer website. iCloud is expected to be available to all users in the fall, perhaps even this month.